Do you want to find a new job, but you aren’t sure where to start? We are here to help. Here are a dozen tips for helping you find a new job. The first you need to do is decide what you’re looking for. If it’s been a while since you’ve been on the hunt for a new job, there may be new positions open that you aren’t aware of. Talk to people who are currently working in the field you are interested in about their jobs. Research online and use sites like Glassdoor to find out if the jobs looking at meet your salary expectations. You also need to be realistic with your expectations—determine if you have the right qualifications, education, and experience before getting your hopes up. Are you growing in your position? Do you have the potential for promotion? How do you see your career progressing at your current company? Do you have a good relationship with your manager? Are you able to develop your skills at your current job? There are many ways to look for a job. Some of the most popular job boards include websites like Indeed, LinkedIn, Monster, and ZipRecruiter. You can also reach out to recruiters by sending them your résumé along with a short description of yourself and what you are looking for. Don’t underestimate the power of social media and utilize your connections to learn about openings that may not have been posted publicly. Other good sources of information include company websites and the HR department of companies you are interested in. You may also want to contact your college or university alumni organization for help. 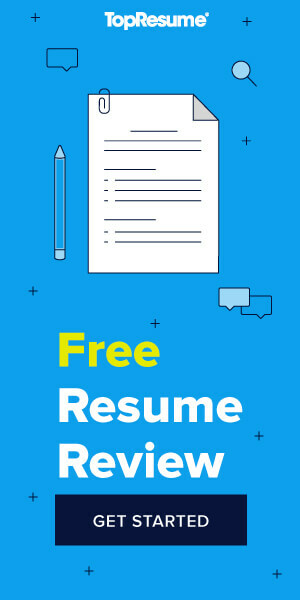 If you currently don’t have a job, you will want to make sure that you don’t leave a gaping hole on your résumé. Be sure to find a productive way to occupy your time that will allow you to continue to develop your job-related skills. Seek out internship or volunteer opportunities that will keep you busy until you find a new job, or develop your skills by taking a class. If you are in the process of interviewing for a job, that doesn’t mean that you should stop applying for other jobs. Nothing is guaranteed until you have signed on the dotted line. Keep applying until you have finalized a job offer. Be sure to tailor your application to each specific job. Employers can tell if you have copy-pasted your cover letter and résumé from applications to other companies. Don’t send out a blanket application for all the jobs you are applying to—take the time to craft something different each time. If you were rejected for one the jobs that you applied to, ask for feedback. Rejections can be an excellent learning opportunity. Of course, if you didn’t make it to the interview stage, there is no point in asking for feedback. But if you were close to receiving a job offer only to be cast aside at the last minute, there may be some helpful information that hiring managers can provide you. This is a great opportunity to learn from your peers and people you admire. Ask professionals who have jobs that you would like how they got there. Ask them what they advise you to do as a job seeker, and if they have any inside tips on how to get your resume in the right hands. Go for a job that will provide you with the best opportunities. This is not necessarily the best job at the moment. Many entry level jobs involve some level of drudgery, but they allow you a chance to develop skills that will land you your dream job in a few years. Don’t forget to thank interviewers in an email or personalized note after your interview, and if you don’t hear back, feel free to send them a quick message reminding them of your continued interest. It may be helpful to create a spreadsheet of all of the jobs that you are applying to or plan on applying to. Keep track of the status of your application, how many interviews you have been on, any assessments you have completed, etc. Keep applying even if you have been rejected from lots of jobs. Do something job-search related every day. Remember—it only takes one job offer to kickstart your career. Thanks for the great tip to make sure you do productive things during the time between jobs. My brother has been looking for a job, so these tips would really help him. He’s also been thinking of working for a staffing agency, but what are you thoughts on that? This Is the Hiring Process at Thermoguard Equipment.